Are You Tired Of Fad Diets And Exercise Plans That Are Expensive And Just Don’t Seem To Work? Become stronger and healthier today! Have you ever tried a popular fitness plan or diet to lose weight or get into better shape? How did it go? Unfortunately, most people fail when it comes health and fitness fads that promise easy weight loss, fast muscle-building, and looking better in your clothes. The reason that most diets and fitness fads fail to “work” is because they focus on training for the wrong goal… They’re all about looking good… not getting healthy and stronger. Although looking better in the mirror can be a nice side-effect of training, it should never be your primary focus. That’s what Functional Strength is all about. …and sure, you may look a little better in the mirror, but that is NOT the main focus. While, an Olympic cyclist only focuses on building strength that she needs to perform better while riding her bike. Of course, this makes her healthier, and she likely looks better in the mirror, but the focus is building REAL strength and REAL health. I got tired of people thinking they needed to eat next to nothing and spend a fortune on exercise equipment, so I put together the ultimate guide on getting healthy and strong… the right way! 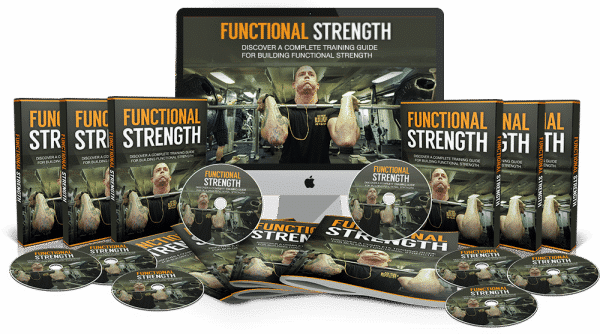 7 Step-by-step compound movements covered in depth that you can start using to build functional strength today! 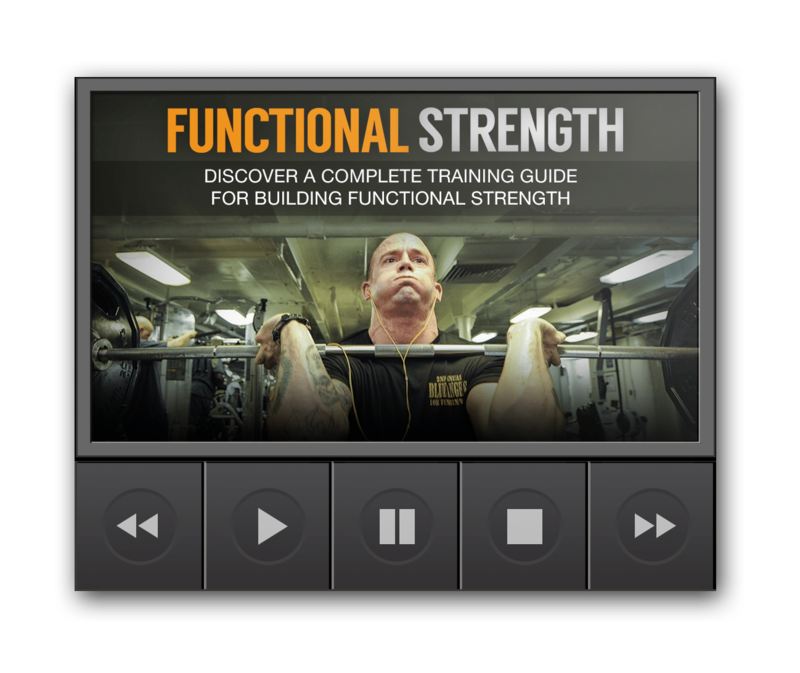 You’ve probably heard of CrossFit… What CrossFit is all about… why it’s controversial, and whether or not you should consider adding it to your functional strength training plan..
With this video training, you will become an expert at building functional strength quickly. It’s the next best thing to hiring a personal trainer at a fraction of the cost. 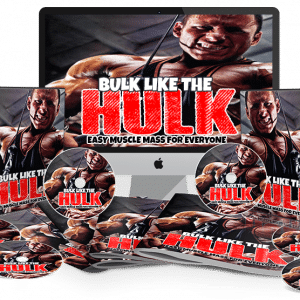 If you’re tired of crash diets and fitness plans that don’t work, this will help you finally achieve real health, fitness, and strength. 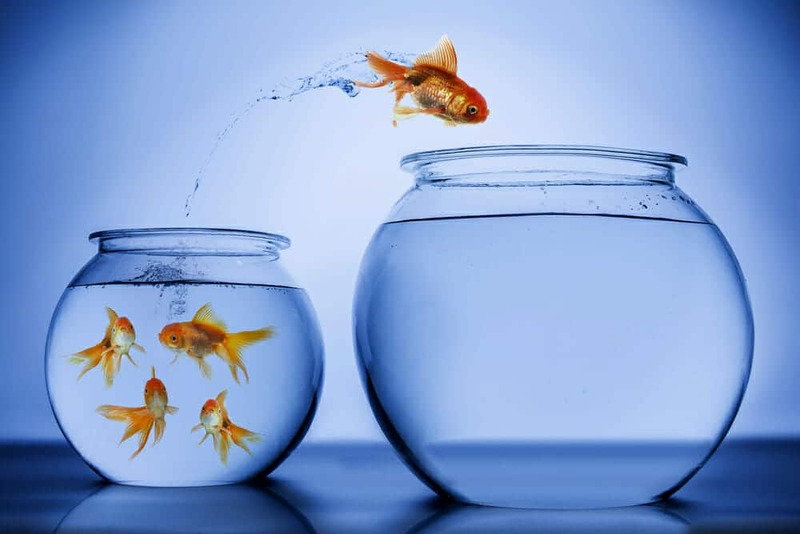 Although the Ebook does a great job of leaving no stones unturned, if you want to be sure you see success as fast as possible, you need to get the video version. Not only will you see results faster, but you’ll make sure you stick to your plan and in many cases, you’ll get even BETTER results by following the video version. Listen to them in the car, at home, or even at the office and you’ll be getting stronger than you ever thought possible. This cheat sheet is a handy checklist that makes it easy to get started and begin building strength, the right way. It breaks up the entire guide into easy-to-follow steps so that you can make sure you have all the highlights of your strength training plan right at your fingertips. This makes it easy to track your progress and stay focused every step of the way. Some people learn better by looking at a mind map. This mind map gives you an overview of everything covered inside the Functional Strength Guide. You can also print it out for quick reference any time you need it! This makes it easy to stick with your strength training plan and get results. 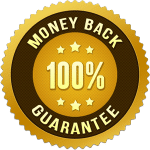 Thank you so much for taking the time to take a look at this extremely limited offer that has the potential to improve your real functional strength and overall health. Sure, if you follow what’s inside, you WILL gain muscle, lose weight, and look better, but again, this about building real health and FUNCTIONAL strength. What If I’m not in good shape now… can I do this? Not a problem. 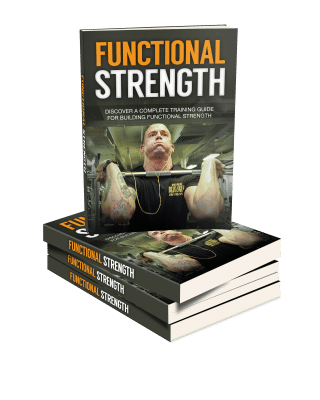 The great thing about this Functional Strength Guide is that you don’t need to be in any certain condition to follow what’s inside and see results. There’s something for everyone. Do I have to follow a boring diet? No. The diet recommended inside the guide is actually very easy to follow and delicious. It’s also pretty liberal. If fact, I encourage you to not go cold turkey and stop eating all of your favorite treats at once… That’s why people FAIL at diets. They try to quit cold turkey, get bored, and then completely relapse to eating junk food. You can begin noticing an increase in flexibility, energy, and strength within days of getting started, although this is intended to show you a new way of life. This isn’t a crash diet or something you do for just a few days or weeks. How much do I have to invest in equipment? Although I do give you some inexpensive recommendations inside, you don’t have to spend a dime on equipment if you don’t want to. …presenting the content in a format that makes learning, applying what you learn, and seeing results quickly. Although this normally sells for $97, I’ve slashed the price and I’m letting this go for just $14.